Because who doesn’t love a good sunset? 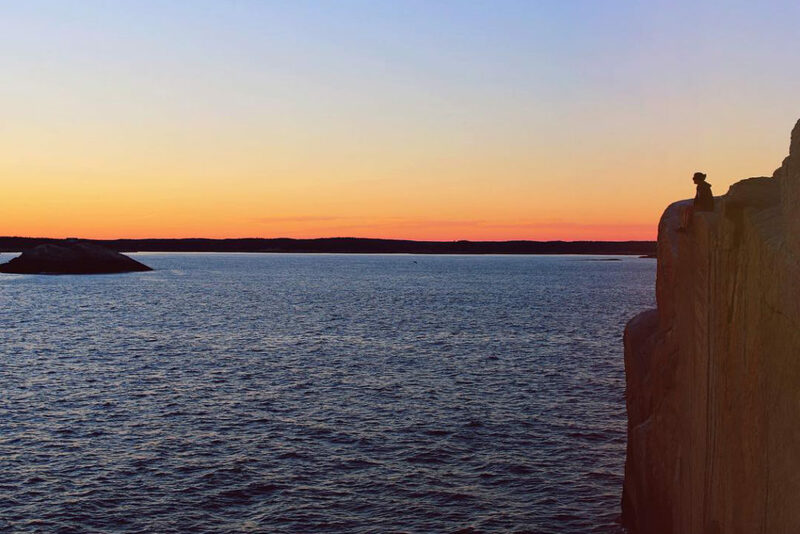 Here are our TOP 10 picks for the BEST places to watch the sunset in the Halifax Region. 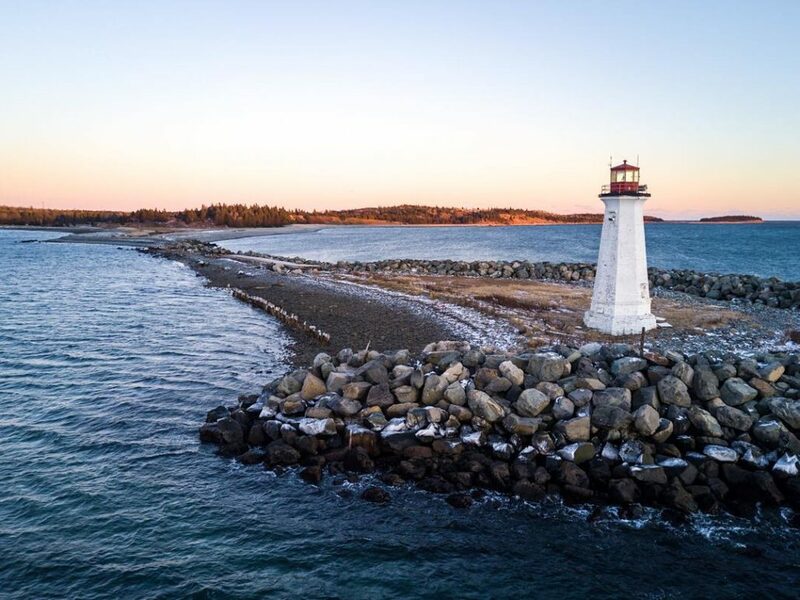 Hop on the Dartmouth ferry and enjoy a stunning view as you ride across the harbour on the oldest continuously-running salt-water passenger ferry service in North America (say that 10 times fast…). 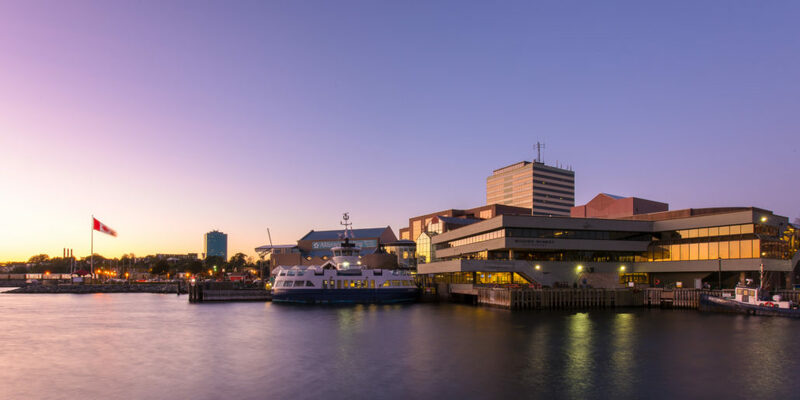 When you’re on the Dartmouth side, you can sit close to the harbour looking out towards the Halifax waterfront and watch the sun come down over the city. This National Historic Site offers AMAZING views of the Halifax harbour, as well as McNabs Island and its lighthouse. It’s a great place to “get away” without having to go very far at all. Located on beautiful Grand Lake, Oakfield Provincial Park is an ideal place to watch the sun reflect off the water as it sets. The trail is only a few kilometers long, and you can just sit back, relax and enjoy the scenery. MacCormack’s Beach is the a beautiful place to watch the sun set. 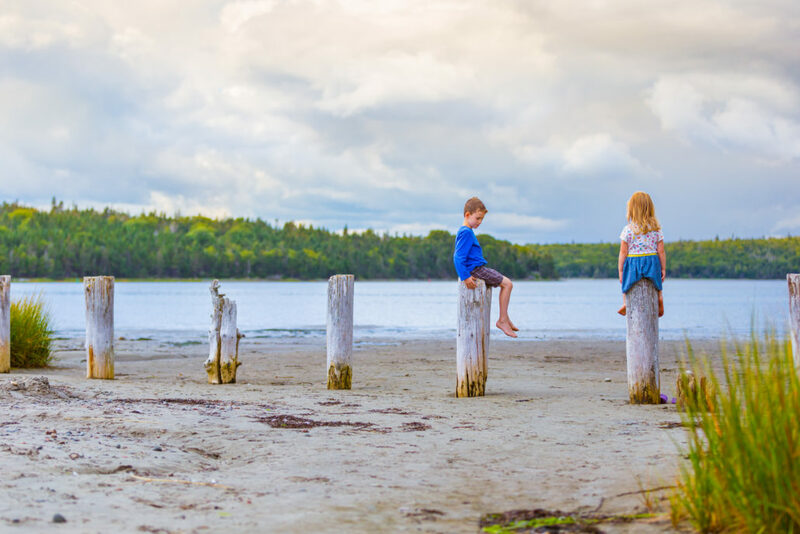 Enjoy walking along boardwalk, dipping your toes in the ocean and when the tide is out you can venture further out onto the wet sand and watch the sun setting over the water as you look back towards Halifax. This beautiful beach has THREE white-sand beaches and a nearby trail called Pennant Trail. Give yourself some extra time to explore the trail and the wildlife. This is a popular place during the summer months for beach goers, but it quiets down in the evening. This is a true gem and worth the drive. Local tip: Drive past the turn off for Crystal Crescent Beach and continue down West Pennant Road a few km’s. When you reach a small bridge crossing, stop and park in the small gravel area on the right side of the road (before the bridge). There, you will see a path that leads to some waterfalls. It’s a great place to be at sundown! Sunset paddle anyone? 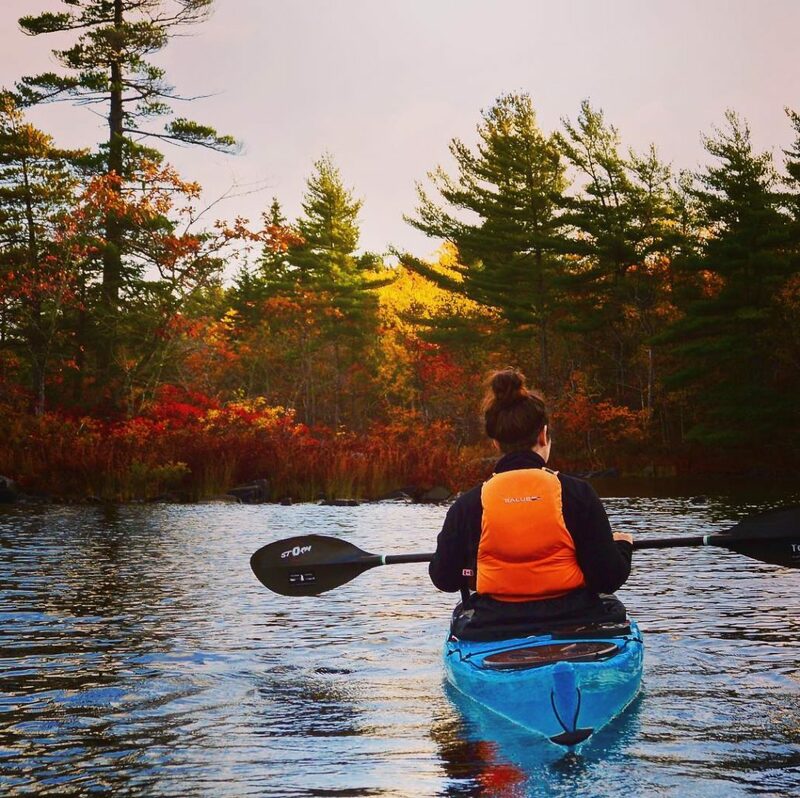 Head down to East Coast Outfitters in Lower Prospect and head out on a guided, or solo kayak trip in and around the magnificent coastline. Most of the routes are sheltered by islands and therefor the water is usually calm – especially in the evenings! Known by locals at Wagner’s Cove. This is a great short hike along the coastline and you can sit on rock cliffs and watch the sun go down in front of you. 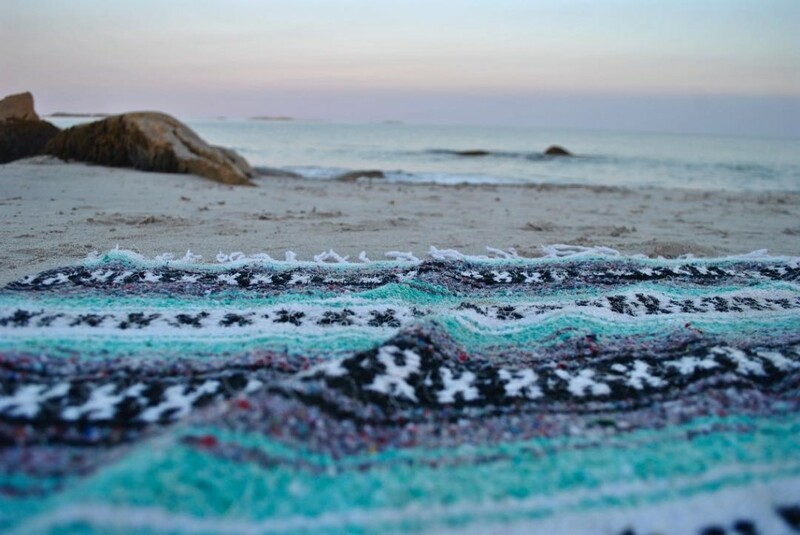 Make sure to dress warm, as the wind blowing off the ocean can be cold even on the warmest of evenings. 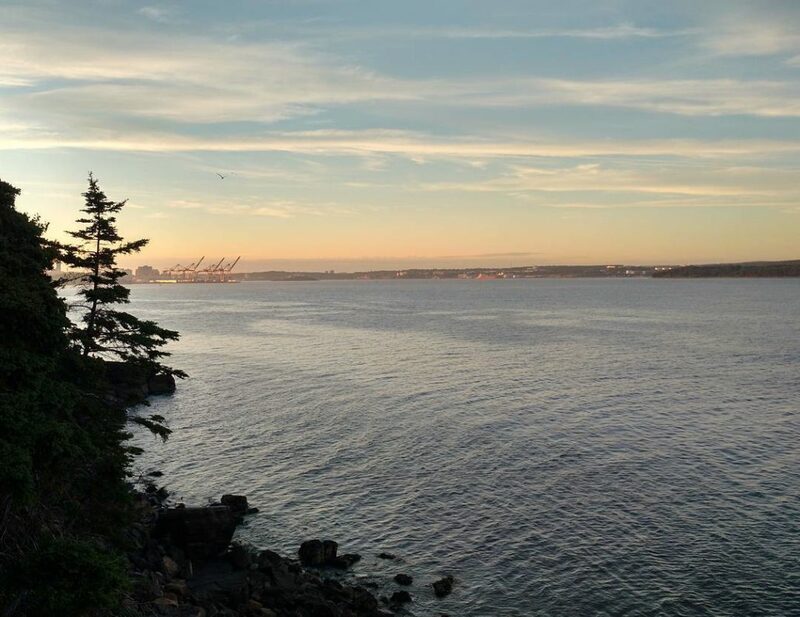 For the truly adventurous, McNabs Island is one of the best places to watch the sunset in the city. The best part? This is another opportunity to kayak! McNab’s Island Adventure Centre is located in Fisherman’s Cove, opposite McNab’s and Lawlor’s Islands. 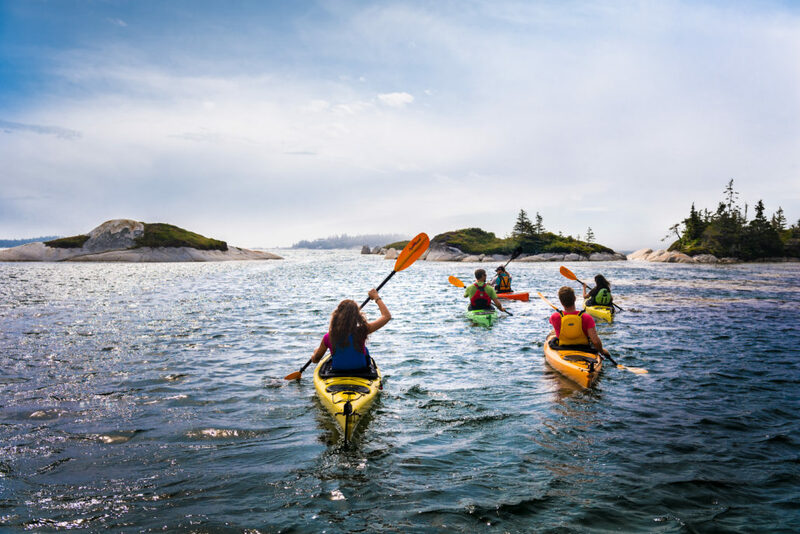 Operated by Kattuk Expeditions, they have sea kayak tours and rentals (plus PLENTY more outdoor adventure), providing convenient access to McNabs for sunset. This is my favourite spot to sit, relax and watch the sun go sink over the ocean. The salty air, the wind and the sound of the waves crashing along the shoreline just leaves you feeling refreshed and rejuvenated. 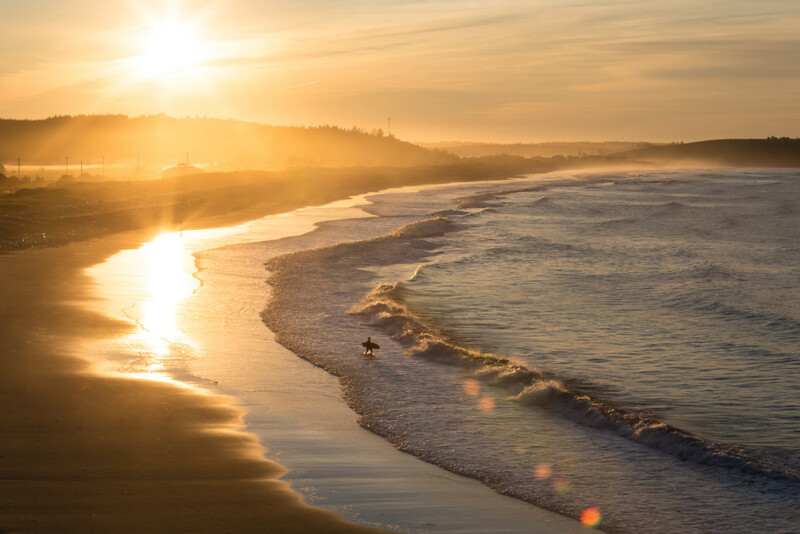 If the waves are good, you might even see some surfers enjoying a sunset surf. Take your shoes off and tip your toes in the ocean. Dress warm though – even on the nicest of days, as the wind coming off of the ocean is refreshing, but cool. 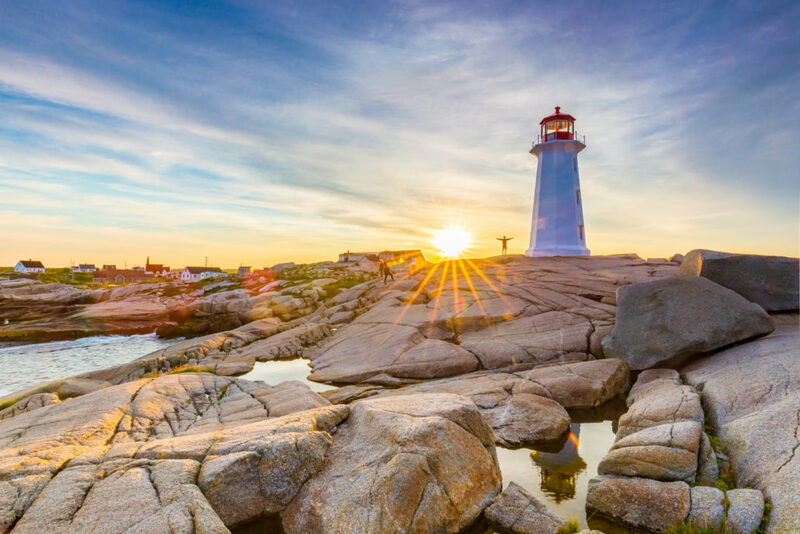 Chances are, Peggy’s Cove is already on your list of places to visit while in Halifax – and for good reason! If the weather is right, there really aren’t many places in the world that offer the iconic beauty of a Peggy’s Cove sunset. Funny thing is, most of the tourists are long gone once the sun starts to go down. If you’re looking to get away from the crowds altogether check out Polly’s Cove, which is only 3km down the road from Peggy. It’s just as beautiful and rarely visited.